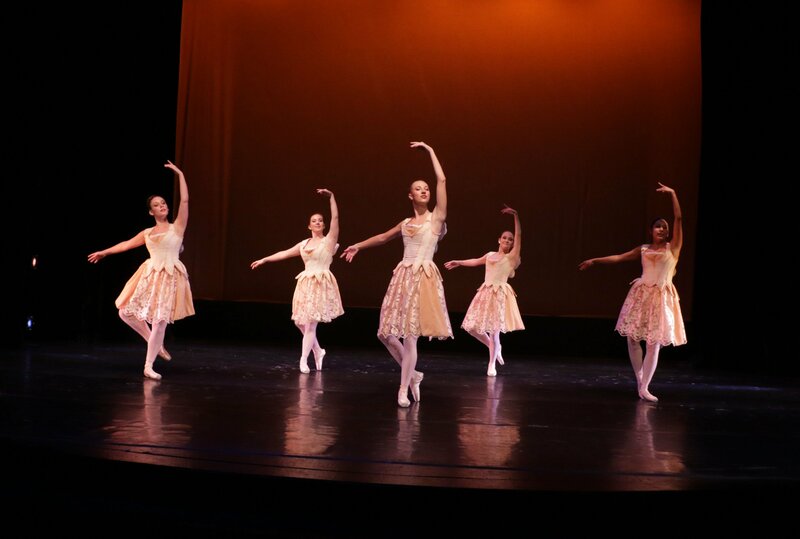 The Student Spotlight Spring Dance Concert showcases the work of students, both on and off the stage. Students organize and execute the performance. Visions of a cuckoo clock probably don’t mean much to most millennials, but the comparison between those relics and Lauren Iuliano’s dance choreography put her in distinctive company. The Grand Canyon University sophomore’s piece, “fzzl” was one of three undergraduate students, out of more than 40 entries, selected for the Gala at the American College Dance Association in Modesto, Calif., last week. It was the fourth year that College of Fine Arts and Production (COFAP) undergraduate student choreographers have earned the honor of having work selected at the Gala. Iuliano’s “fzzl” piece won’t be part of this week’s Spring Student Spotlight Dance Concert inside Thunderground, but she collaborated with several fellow students for a piece titled, “Chugga Chugga,” that will be one of 12 performed as part of the student showcase put together each semester. Price is coordinating the spring dance concert showcase, which is otherwise organized and executed entirely by COFAP students. Four freshman earned spots in the program, an impressive accomplishment considering they have yet to enroll in a choreography composition class at GCU. Price said the dozen performances feature a wide array of comedic and poignant themes using modern dance, tap, hip-hop and more. Students auditioned Feb. 23 in front of a panel of GCU faculty and local artists, but as has occurred for these showcases the last two years, all auditions went through an initial “Work in Progress Showing” in the weeks before late February. Students presented their works to a group of volunteer faculty members to acquire direct, immediate feedback so adjustments could be made before the February auditions. One of the highlights of the program is “Old School” by freshman Abbi Cavanaugh. It’s a humorous piece featuring six dancers who represent couples during retirement. Another highlight is “Pieces” by senior Ted Williams Jr., who has been involved in these student showcases since his freshman year. This piece is essentially a compilation of each of his previous Student Spotlight performances — at least one per semester for the last four years. “He wanted it to be a collage of his experience and growth at GCU,” Price said.